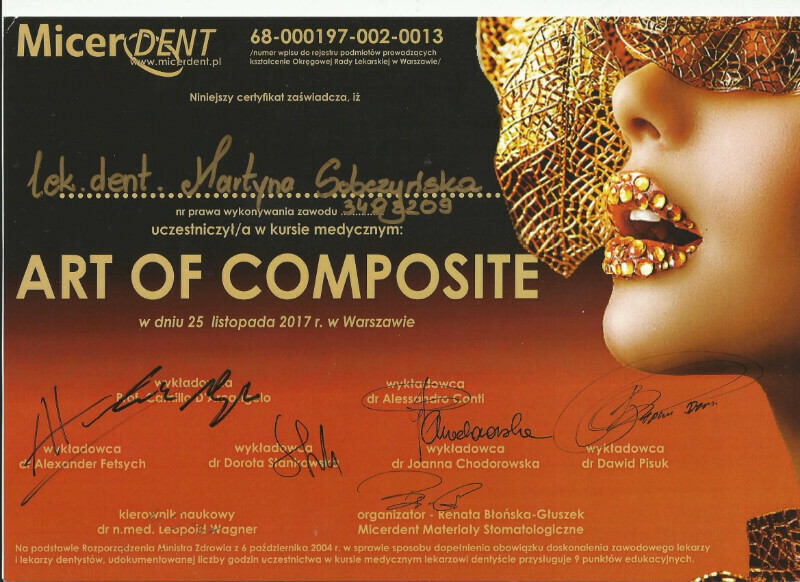 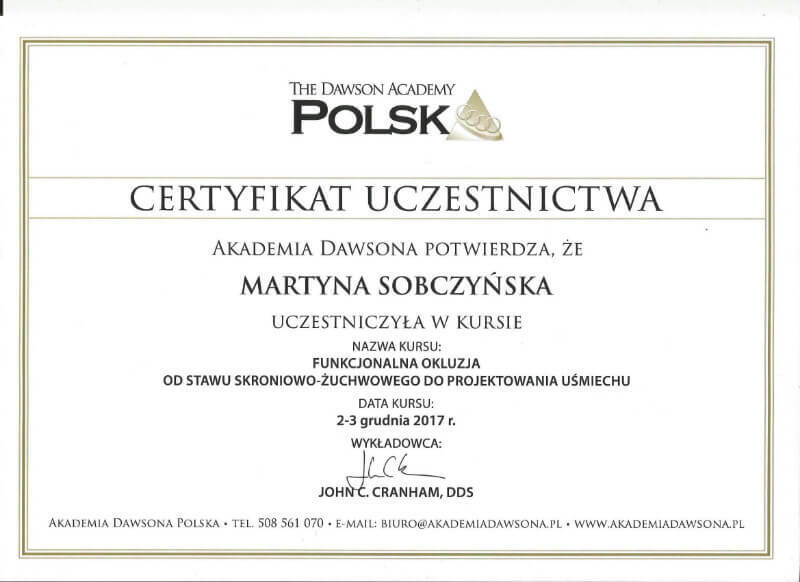 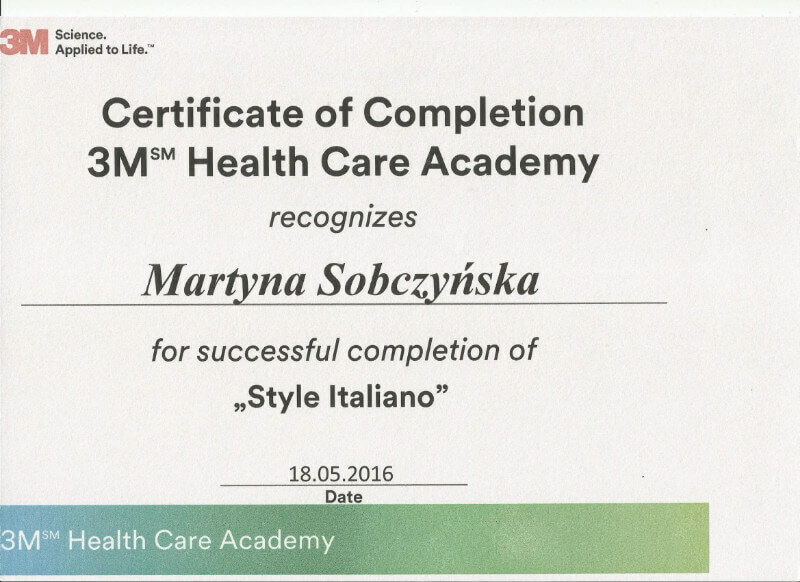 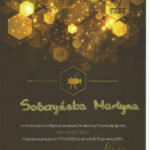 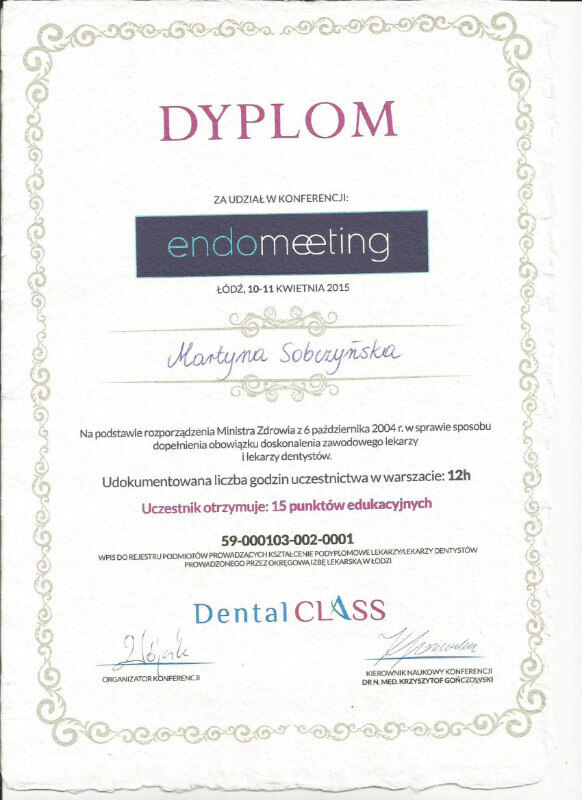 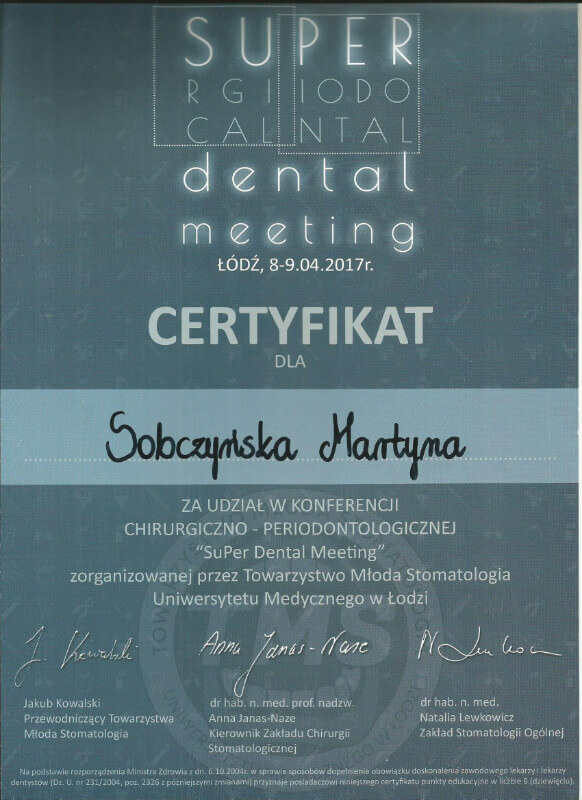 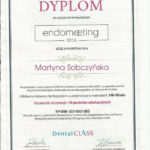 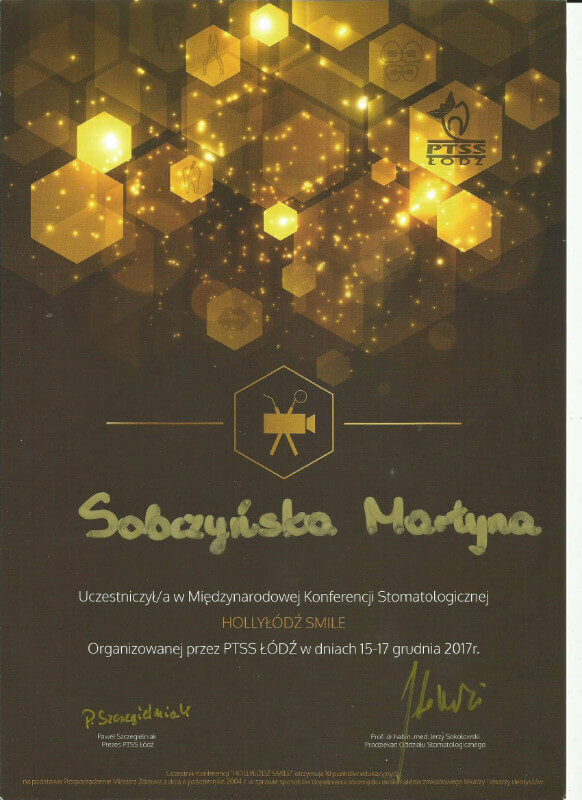 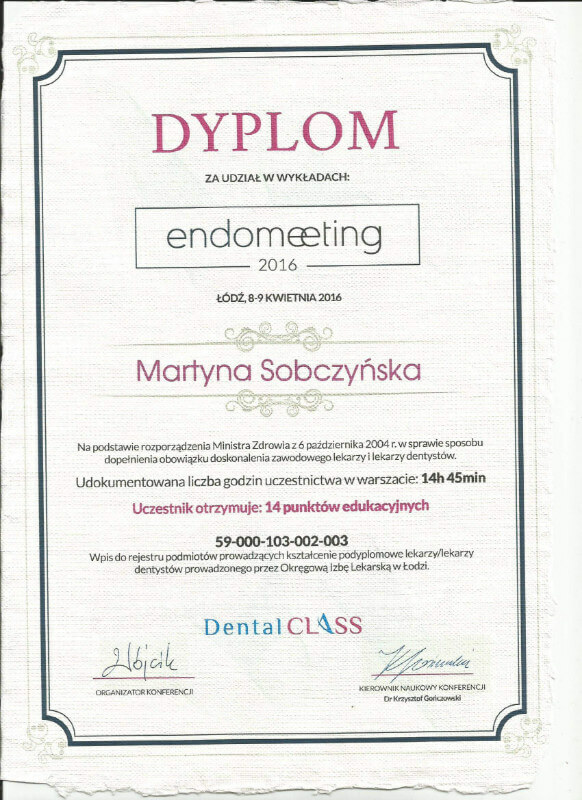 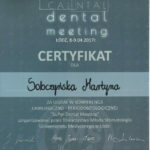 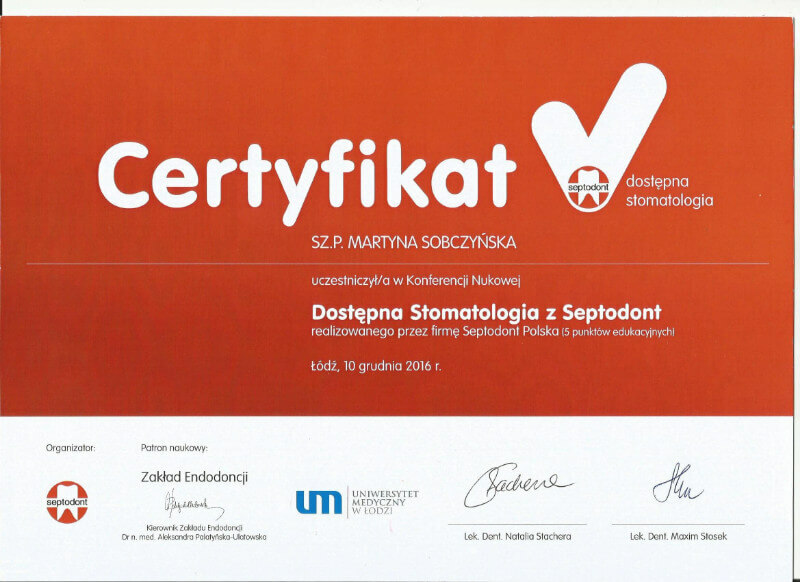 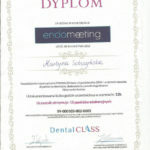 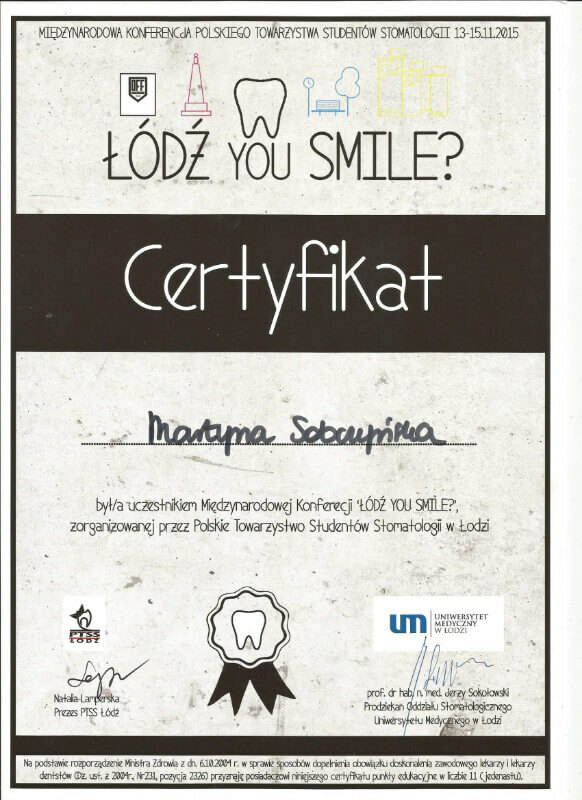 Graduated in dentistry at the Medical University of Łódź. 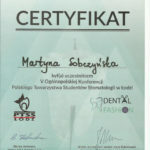 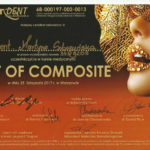 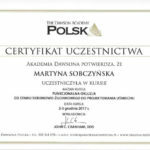 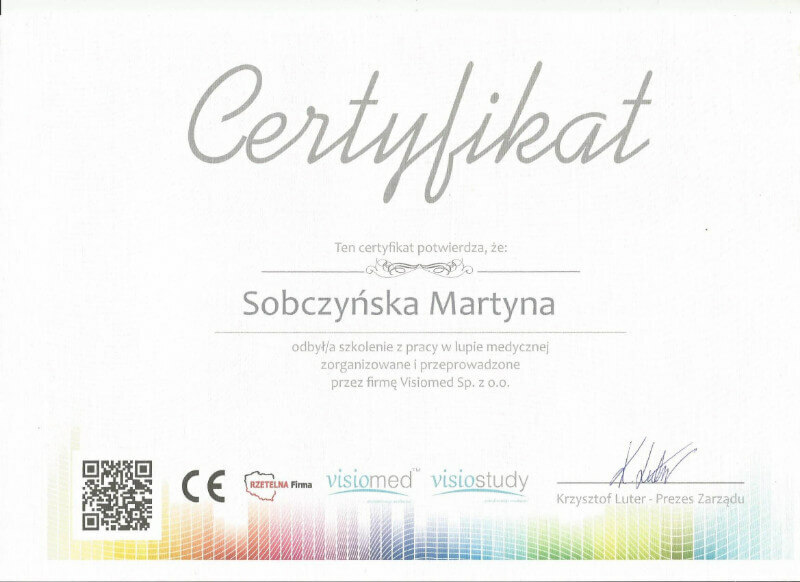 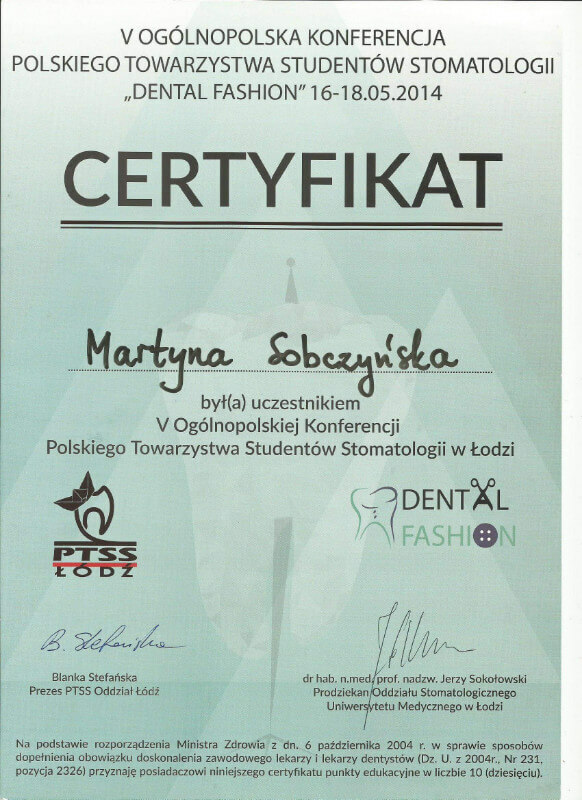 Already during her studies, she participated in industry conferences, mainly in the field of interest in aesthetic dentistry, prosthetics, occlusion and endodontics, which broadened her knowledge and shaped her clinical interests. 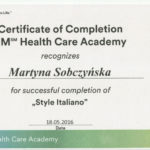 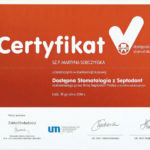 Thanks to working in an experienced team, she enriched her experience with valuable skills that enable accurate patient diagnosis and effective treatment.